What's the Best Vegan Prenatal Vitamin? 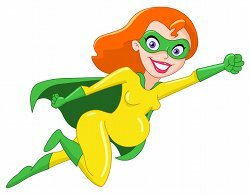 Vegan Momma Monthly: What's the Best Vegan Prenatal Vitamin? *Question: "Is soy bad during pregnancy?" I always advocate that real, whole foods are better than anything you can find in a pill, but there will be some days during your pregnancy where you don't feel well enough to eat enough healthy food. Prenatal vitamins are the best way to ensure that your baby is getting absolutely every nutrient they need during their early stages of development. 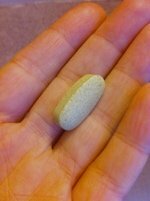 In fact, there's no reason not to take a multivitamin both while trying to conceive and after giving birth. Once baby is born and it's time to start nursing, you should still continue taking the multivitamins to make sure your breast milk is nutrient rich, and so that you stay super healthy. Don't miss these five tricks for picking the best vegan prenatal vitamins. If you're not adding avocados into your daily diet, start now! 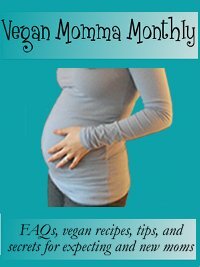 They're amazing during pregnancy for smell-proof "good fat," and to add an extra punch of nutrients while you're breastfeeding, they make excellent first food for your babies, and they're really good ways to add healthy fat into your vegan children's diets. Check out all the benefits of avocado. Question: "Is soy safe during pregnancy?" "I keep hearing from my friends that soy is bad during pregnancy. Is this true? What should I eat instead of soy?" Soy is such a confusing topic because popular nutritional knowledge has stigmatized soy as an unsafe estrogenic food that vegans eat to excess. Is it true or not? Is soy during pregnancy safe? When my sister was having her baby, I got to be the cook and the laundry lady. I had a list of types of meals to prepare, and one of them was a high protein meal or snack for right after she gave birth. With all the effort of the pushing, and the blood loss, it's important to pack the iron and protein right back into your body. So, we settled on this as a "push protein" for right after birth. An added benefit of making a ton of it was that her midwife and birth assistant loved the "tuna" and now share the recipe all around the birthing center. 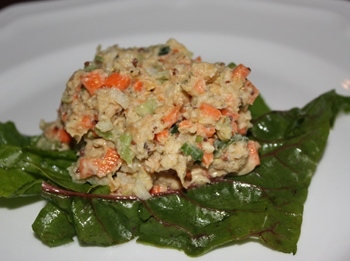 Try my vegan tuna salad recipe here.